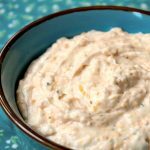 A surprisingly tasty dip with a hint of beer, this recipe for Crock-Pot Beer Dip has just 4 ingredients and tastes great on crackers! 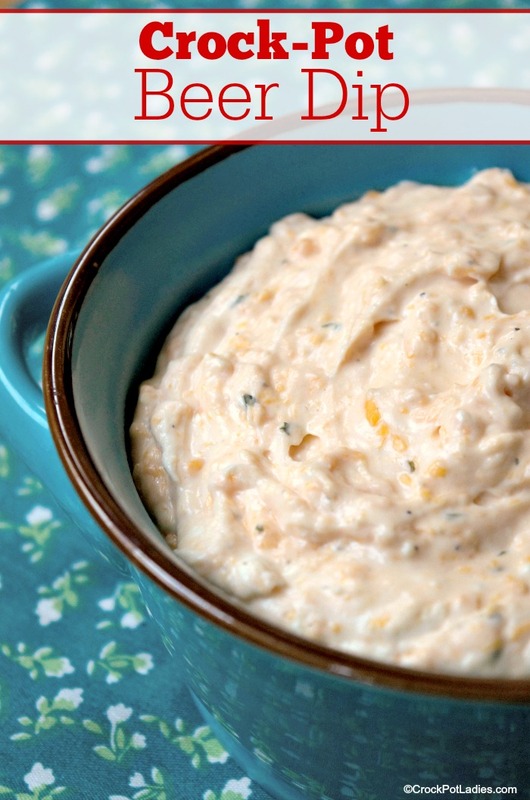 When you need a fantastic dip for a game day party (or any party) this beer dip is the one you are going to want to try! Use your favorite beer in this dip, be it a lite beer or a darker brew any kind of beer is going to be great in this recipe. Just keep in mind that the stronger the flavor of beer you use the stronger the beer flavor is going to be in the dip. This recipe only has 4 ingredients – cream cheese, cheddar cheese, ranch dressing mix (I like to use our homemade ranch dressing mix) and of course…beer! To serve set out your favorite crackers, chips, pretzels or even smoked cooked sausages! 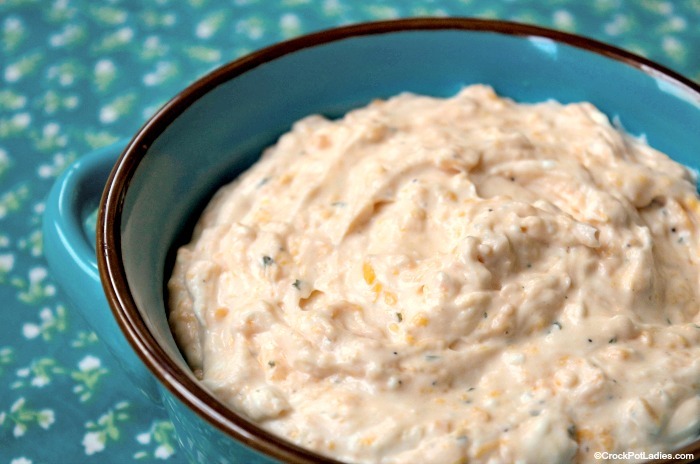 Your guests are going to LOVE this warm and cheesy beer dip! With only 4 ingredients this fantastic beer dip recipe is super easy to make and tastes fantastic. Use your favorite brand of beer to make it uniquely your own! Add all ingredients to a 2.3 to 3 quart slow cooker. Cover and cook on LOW for 2 hours, stirring every 30 minutes to make sure the cheese is melting evenly. Turn slow cooker to the WARM setting to keep it warm while serving with crackers, chips, pretzels or sausages. Or, spoon dip into a bowl and serve that way.